As time has gone on the Escalade lineup has come to include three models with a pickup and extended wheelbase version being added. As the SUV market has been hit hard by the recession, the Escalade too suffered, but has remained alive. Its closest competition in nearly every aspect, the Lincoln Navigator, has struggled much more than the Cadillac and will cease production sooner rather than later. Cadillac has been able to keep this vehicle moving forward, but some VIP clients still expect more. When a Range Rover is too small and a large scale van is not classy enough, Becker Automotive Design is there to take your Escalade to the next level. 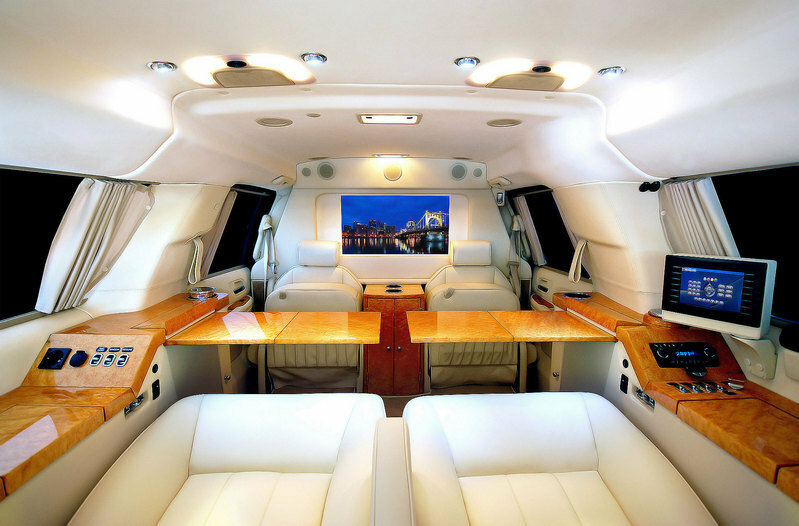 After this company gets done with their conversion, the Escalade has been transformed into a Gulfstream 5 for the road. Hit the jump for more details on the Becker Escalade Conversion. Car Infographics: Obama’s Cadillac One is a Tank! 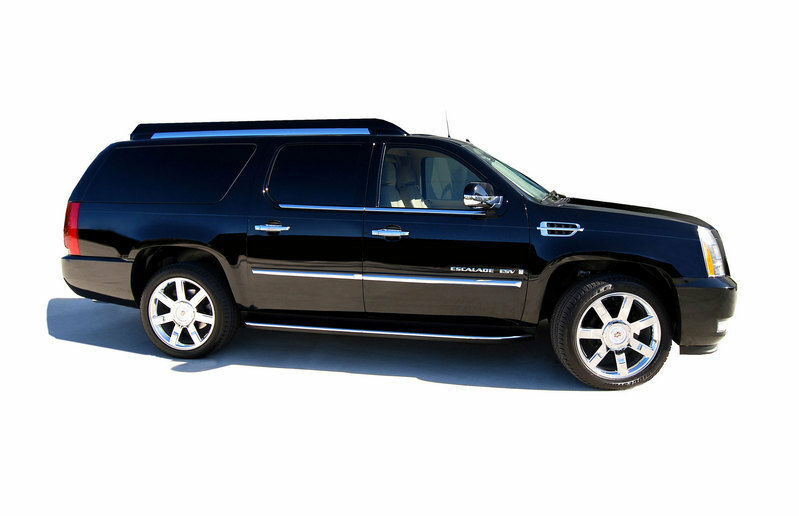 The starting point of these Limo Escalade conversions is the ESV version of the vehicle. The long wheelbase provides the most interior space for which to add all the new equipment. Becker utilizes a 33,000 SF facility outside of Los Angeles at which the design and construction of these custom cars takes place. The idea behind the vehicle is to provide the most comfortable, secure, and useful means of transportation for VIP clientele. In order to keep the Escalade conversion exclusively enjoyed from the passengers inside rather than gawking onlookers, Becker has left the exterior unmodified. These vehicles can roll down any street alongside a million or so other Escalades and remain discrete. This is a priority for many VIP clients and with the ¾ ton chassis that the Escalade ESV rides on, the company can fit all the necessary accoutrements. As a client walks into the Becker studio, they are greeted by a member of the company and initial plans for what they want inside their custom SUV is laid out. 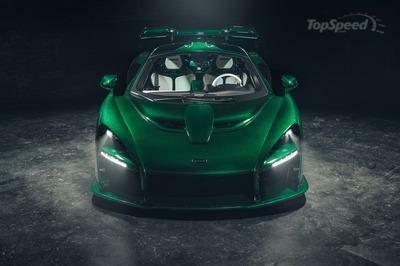 Becker is capable of putting any number of modifications in the vehicle, but the main idea is to create a comfortable space for the two most important occupants. In place of the second row bench and third row seats are two fully electric reclining bucket seats. The removal of the bench seats provides more than ample leg room for any occupant. The seats can also be fitted with leg extensions and massage features. Two more seats are placed facing the buckets, but they fold up much like the seats at a baseball stadium. This allows easy access from the rear doors. Other than these changes just about anything one can dream up is possible. The biggest choice is to have a partition placed between the rear cabin and the front seats. In the section that moves up and down a large television monitor is fitted to face the rear seats. More screens and a myriad of electronics are able to be placed in the vehicle as well. Most of the controls are placed on either side of the bucket seats along with fold out wood tables. Many clients use these vehicles as a type of mobile office and need advanced communication networks that Becker has the experience to handle. For safety and convenience, the Escalade is fitted with revised cooling and ventilation systems that can come complete with Hepa filters. The electronic system has been heavily changed and features extra batteries in order to handle the load. Becker is certified to add armor plating to the vehicle as well and many of the clients in this market opt for that. Exterior cameras and an intercom system help the occupant remain in control of the environment outside of the vehicle while remaining inside. 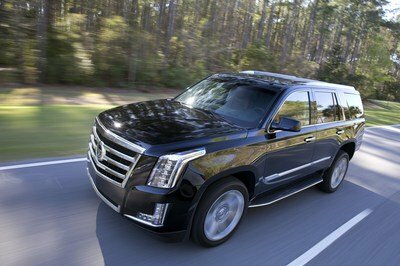 The Cadillac Escalade is available from the factory with only one engine, but thankfully it’s a powerful unit. The 6.2-liter V8 pumps out 403hp at 5,700rpm and 417 lb-ft of toque at 4,300rpm. This is enough to get the over 7,000lb vehicle moving rather quickly and much faster than the Chevrolet/GMC competition with the smaller Vortec engine. Undoubtedly, the new interior and armor added by Becker weigh quite a bit and will slow the vehicle down. This is why they insisted on using the bigger 3/4 ton vehicle frames, because they are already designed for heavy duty applications. Being born from heavy duty pickup trucks really helps the Escalade in this respect. 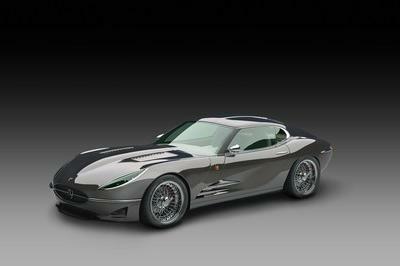 Becker Automotive Design does not have a set price for this vehicle simply due to all the bespoke options available. You do have to provide your own Escalade, which will set you back around $60,000-$70,000. With all the advanced electronics, luxury leather and wood, armoring and professional service these conversions can easily exceed $250,000. Once you have decided on all the options to be included, it will take Becker around five months to complete the project and then they will ship it anywhere in the world. Completely custom limousine SUVs have little competition in today’s market and Becker has been on the forefront of this conversion since the beginning. There are several options in terms of armor plating for vehicles of all types and several different grades of armoring are available. Becker handles up to a certain point, but you will have to go to someone like Texas Armoring to receive T7 & T8 armor piercing protection. One vehicle that is built from the ground up to be protective and luxurious is the Knight XV by Conquest Vehicles. 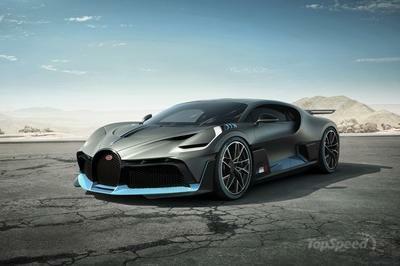 It features a V10 engine that can run on bio-fuel and it literally dwarfs a Hummer H2 in size. The car interior is really outstanding its very elegant and spacious. 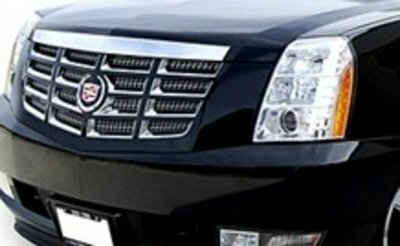 This Cadillac escalade has a discrete exterior so that it can go on any street remaining unmodified. Well, they say that Mercedes 600 Guard Pullman is the dreamed limousine of everyone. I think they would change their mind if they see this Escalade. So far, it is the most luxurious and awesome limousine I’ve ever seen! The interior of this one, really captivate my attention. I think this limousine is very exclusive on a business person, and the leather seater of it is seems so comfortable and cozy on that. As for the exterior appearance, I must say that it really didn’t look so impressive and even a luxurious one but when it comes on its interior, well it really so classy and expensive indeed on its amenities. Limousine type, look so elegant and luxurious too. Look how customized its interior and upholstery including other gadgets and technology used to make it relaxing and comfortable inside. Definitely an expensive and demanding car. But just looking outside you couldn’t notice what’s inside the car. Nice. Well, this limousine is really don’t have an impressive exterior styling and platform, it seems that it is not a luxurious one but I’m so amazed with its fabulous interior touch and amenities! I want this for myself. Amazing! 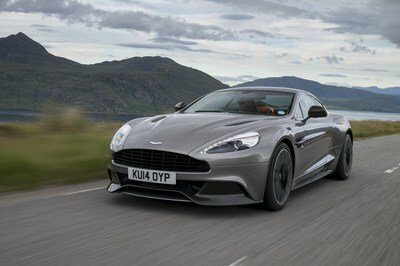 Its supposedly be the dream car, No wonder it will makes this high demand and become the most customer choice of car. And eventually soon to be the most popular car production. Wow! Extremely beautiful! The interior is so luxurious and classy. If i have the money I would definitely bought this car! I absolutely fell in love on this car! Its extremely gorgeous especially in the inside. The interior is fabulous and those carbon fiber seats are amazing!i love it! Wow! The interior would probably top of the line! I can’t remove my eyes from looking at it, it leaves me drooling actually! Its just too beautiful from the inside that it makes me forget how it looks from the outside. Technology is redefining luxury in its own right. Without these, a car will be a car, no electronics, no wi-fi, no intercom etc. But all these changes the life, in this case, do you need a physical office? Suits the marketing and business people quiet well. They just need not miss a thing while on the move. Is this really a car or a luxury hotel suite? Look at the interiors, they are too tempting. This is the reason why the company survived the recession unlike others. This truly is a winner.